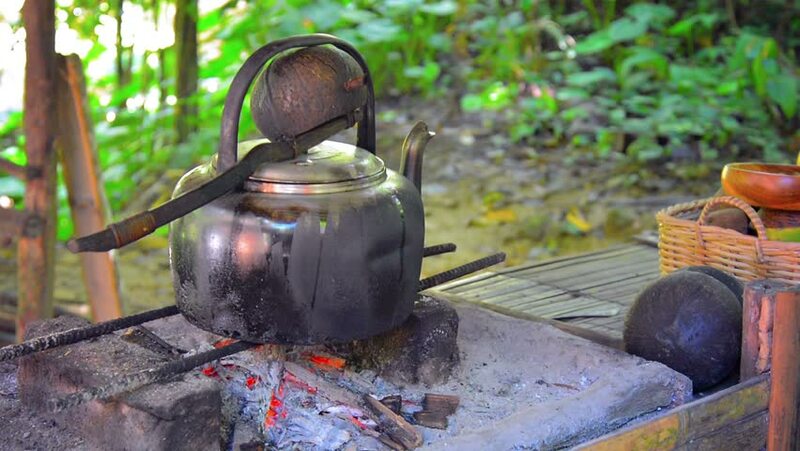 Video 1080p - Old tea kettle. blackened with soot. heats over the red hot coals of an outdoor cooking fire on the island of Borneo in Southeast Asia. 4k00:15Bowler at the stake. The kettle stands on fire, cooking food in the camp. Also, around the fire, the shoes of tourists are drying. 4k00:35Baked potatoes in the coals. Shot in 4K (ultra-high definition (UHD)). hd00:22Cauldron camp fire slow cooker beef stew. Outdoor cooking.